Bobby Roode’s GLORIOUS Morning Routine Ft. Rusev | WWE | Mattel Action! Daniel Bryan Explains the “Yes!” Movement | WWE | Mattel Action! The New Day’s Eat It or Wear It Challenge ft. Bayley & Sasha Banks | WWE | Mattel Action! Sheamus and Cesaro React to Braun Strowman Flipping a Truck! | WWE | Mattel Action! 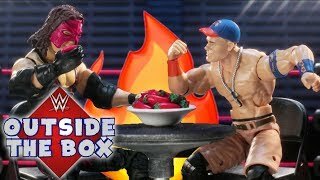 John Cena VS Kane in a Fiery Hot Pepper Challenge ft. Charlotte Flair | WWE | Mattel Action! 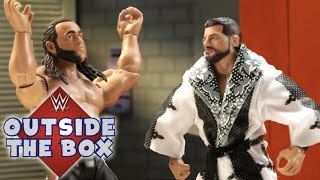 Official WWE Outside the Box Series Trailer | WWE | Mattel Action!